Vinh Nguyen began the violin at 8 years old, studying classically for 14 years at the rigorous Vietnam National Conservatory with Russian–trained faculty, and where she received her undergraduate and graduate degrees in violin. Since coming to Canada in 1991 , she has played and performed with various symphony orchestras. Vinh is a certified violin teacher for all levels by the Suzuki Association of the Americas and a registered Royal Conservatory of Music teacher. 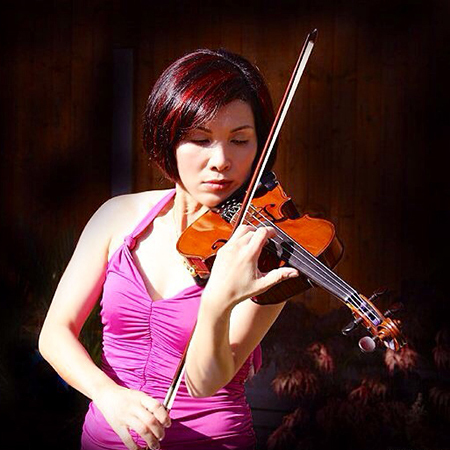 In addition to teaching at the VSO School of Music, she also teaches violin at Douglas College. Her students are consistently successful in RCM exams at all levels and many have received college scholarships for their achievements in music. Vinh is a patient, passionate, and enthusiastic teacher, who loves to teach and work with children and other violin students of all ages.